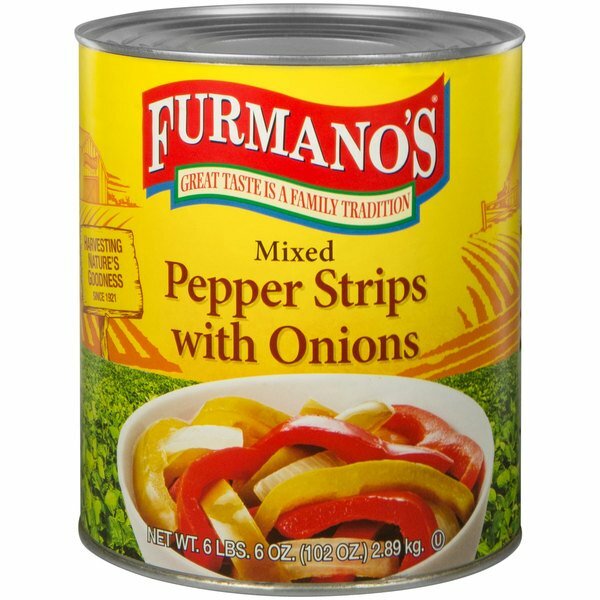 Furmano's mix of zesty peppers and onions is sure to kick up the heat to any spicy dish! Not only do these peppers and onions guarantee classic flavors that won't disappoint, but the tender translucent onions mixed with the bright array of red and green bell peppers makes for an eye-catching, attractive garnish. Packed in water to maintain texture and pre-sliced into strips, these peppers and onions eliminate tedious kitchen prep time. Quickly and easily incorporate this mix of smoky peppers and sweet onions into your dishes to create fantastic service for your customers! Cholesterol and fat free, this flavorful blend of piquant ingredients can be prepared in many ways. The perfect garnish for your salad bar, these peppers and onions taste great when added into soups and stews for extra heat. Or, caramelize these pepper strips and onions for a sweeter flavor. 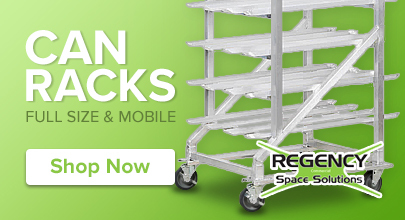 Perfectly-sized into strips for sandwiches and authentic Mexican meals, serve sauteed on hot steak or sausage sandwiches, or serve a popular and fun build-your-own fajita platter. A brand with over 90 years of producing fresh, top-quality products, Furmano's is a grower-owned company you can trust to pack each can full of wholesome peppers and onions with consistent, nourishing flavor that won't disappoint! Yuck... these peppers and onion were very salty and sour. I washed them and sautéed them they were ok after that but were super soggy! A great quality can of mixed pepper strips with onions that are a nice touch to fajita dishes. The quality is excellent and very fresh smelling. A wonderful mixture of peppers and onions that are cut and ready for your dish. These are great warmed and served in fajita skillet with chicken. The Furmano's Mixed Pepper Strips with Onions exceeded my expections. Great price and Quality! I would highly recommend. 5 Stars! I will definitely purchase again. The pepper strips are really good and with no need to add onions because they are already in there. These are especially good for fajitas. There is only one downside to this product...there is only so much in this can. I have eaten over half of it in the versions of tacos, pizzas, and the occasional chili. I highly recommend this product for its taste and pricing, but I wish that more peppers and onions could be allowed in the can. I have used these peppers strips a few times in fajitas, beef stew and fish tacos and they tasted great in all three meals. The peppers were still firm and still had snap straight out of the can. I will order them again and recommend them to others. Life Saver! Now that i have found these items i am going to order them quite often. They have great flavor and they went well with my chicken fajitas. The guest cannot stop talking about them. I recommend these highly. I must say, I have never seen a product like this that retains the "Snap" of onions and peppers that comes in a canned form. It is great for use in sandwiches as well as all kinds of other dishes. Furmano's peppers and onions are very good. When you can't get the frsh ones they are good to have on hand. Great value and great taste. This is a great buy especially if you HATE chopping green and red peppers and onions like I do! A perfect combo to use in all your recipes an even as a pizza topping!